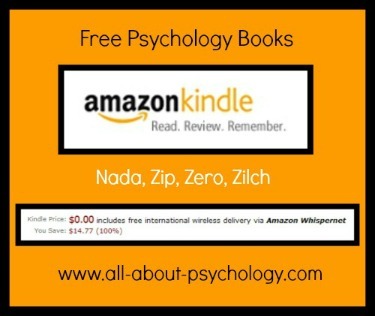 This exciting new initiative on the All About Psychology Website centers around the fact that Amazon allows authors to offer the kindle version of their book for free for up-to 5 days every three months. This is something I intend to do with all my books and I'm hoping to persuade other authors/editors in the psychology field to do the same. It's a mutually beneficial arrangement! By offering their book for free, the author/editor is able to get their book "out there" to a large receptive audience and is much more likely to receive book reviews and likes; which in turn will help boost the profile of their book on Amazon. 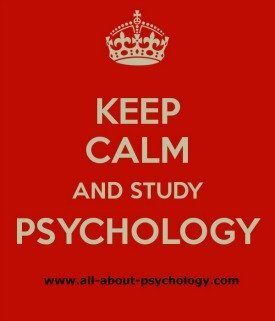 Interested readers on the other hand get access to books covering a range of psychology topics that they would ordinarily have to pay for. I will be announcing when a free book is available on the All About Psychology Facebook Page and I have also set up a dedicated mailing list for people who would like alerting as soon as a free book promotion is running. If you would like to join the free psychology books mailing list, you can do via the form below. A description of each book will be provided along with other relevant details, including how long the book will be available for free. Don't worry if you miss a particular promotion as most of the authors will be offering their book for free on more than one occasion. The success of the free psychology books initiative will be down to the "The Law of Reciprocity" (responding to a kind action with another kind action.) Each author is making their book freely available for a limited period of time. If you enjoy any of these books, find them useful or interesting etc, please let the author know by clicking the like button and leaving a review on the book listing page. The like button is just below the title at the top of the book listing page on Amazon. It takes less then a second to click the like button! To leave a review, scroll down the book listing page on Amazon to the Customer Reviews section. Click on the button labelled - Write a customer review. A new page will open and then it's just simply a case of rating the book and adding your comments. Remember! The more people who click the like button and leave a review, the more authors are likely to offer their books for free in the future. You will be able to read any kindle book featured in the free psychology-books initiative on your computer or mobile device using one of Amazon's free Kindle reading apps. CLICK HERE for details.